A one acre parcel located off of Nanagosa Trail on Stoney Point. 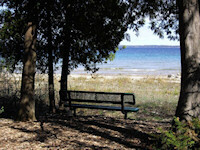 The park has rocky beach frontage on Grand Traverse Bay with a small boat launch. Picnic tables and grilles are available. 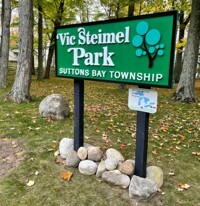 ADA accessible picnic tables are provided. Portajohn available. No potable water. 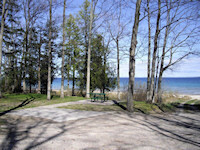 Click here to view and print a map of the area or locate by GPS (44.989129, - 85.600247).